If you are hoping to find one of Australia’s sunny beaches in Cairns, you might be disappointed because the city has no beaches, but if you enjoy adventure, wildlife and nature, you are in for a special treat when you visit Cairns! Located in Australia’s Far North Queensland, Cairns is a popular tourist destination because of its warm, tropical climate and close proximity to the beautiful Great Barrier Reef. You do want to be mindful when visiting Cairns that the region can experience cyclones from November and May. The time period between June and August often presents pleasant temperatures and blue skies. One of the most popular features of Cairns is its natural wonders. The Great Barrier Reef is a prime example. As the largest coral reef in the world, the Great Barrier Reef stretches over 900 islands and more than 130,000 square miles. You can experience this stunning natural attraction by glass bottom boats, snorkeling, scuba diving and more. Another of Cairn’s natural wonders is the Atherton Tablelands, a beautiful and vast tropical plateau where you can enjoy birdwatching, mountain biking and hot air ballooning. As Australia’s largest tropical rainforest, the Daintree Rainforest is an experience not to be missed. Explore a great number of trails here where you can view many species of exotic plants, birds and other wildlife. 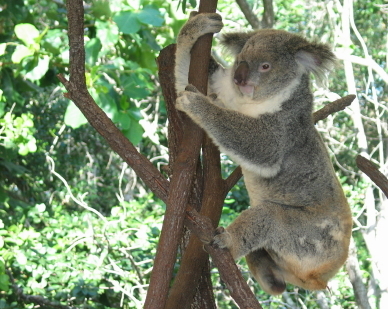 If you are a wildlife lover, Cairns offers you great opportunities. This region teems with various species of birds, reptiles and mammals from tree kangaroos and cassowaries. Some of the most ideal places to glimpse native Australian wildlife include Mount Hypipamee, Mount Lewis and Lamb Range. Additionally, the Cairns Wildlife Dome is a popular attraction. Situated on top of the Reef Hotel Casino, this high glass dome features a recreated tropical rainforest that you can walk through to see the likes of cockatoos, lorikeets, koalas, kookaburras, wallabies, crocodiles, pythons and more. If you are a thrill-seeker, you can enjoy several adrenaline rushes in the Cairn’s area. Because of its close proximity to the rainforest, mountains and ocean, Cairns offers adventurous options like whitewater rafting through the wild rainforest rivers or hang-gliding and skydiving over the scenic landscapes. Hot-air ballooning is available year round in Cairns where you can view the region’s natural beauty from the sky. Other exciting activities include snorkeling, scuba diving and deep sea fishing. When you stay in Cairns, you can take advantage of the many coach tours that are available for day trips such as to the rainforest, the Great Barrier Reef and Cape Tribulation Beach. You can also enjoy excursions to wildlife sanctuaries and nature parks like the Rainforest Habitat Wildlife sanctuary and the Australian Butterfly Sanctuary. Traveling in Australia can be expensive, but fortunately, Cairns is geared toward the budget and backpacker traveler and offers many low cost choices for hostels, budget hotels, cheap eateries, discount shopping and budget day trips. Ready to explore Cairns? Begin your vacation planning today by taking advantage of online hotel deals and securing a reservation.